Laughing all the way to Opryland. The silliest thing that ever happened to me in all my years of traveling occurred at the Opryland Hotel. I was scheduled to address a group of American Express travel agents there about the topic of first-class travel. Inconveniently, I broke my toe before leaving home. On crutches, I flew to Nashville, Tennessee and made my way to the Opryland Hotel. After registering at the Opryland, I asked the hotel reservations clerk for my luggage, which had arrived before me. I was instructed to walk over (hobbling was more like it) to the bellman's desk. There I was told that all the luggage was stored down a long hallway. Throwing myself on the mercy of an earnest young hotel bellhop, I asked him to retrieve it. I gave him a description of the piece: "Green, wheeled duffel bag, parachute nylon, Amelia Earhart." The Opryland Hotel bellhop dutifully made his way down the hallway. A few minutes later he returned, proudly announcing, "Ah found your luggage, Miss Earhart." It was the first, but not the last fiasco of my stay at the Opryland Hotel. Rolling my duffel down a long, long, long corridor, I realized the hotel room was too far from the elevator for comfort. I called the front desk to ask for a room with a better location, handicap-accessible if possible. Half an hour later, the Opryland front desk called back and told me what room to go to. (Were this a Ritz-Carlton or a Four Seasons hotel, I'm certain someone would have come to assist me.) Feeling sorry for myself, I got back on my crutches, hopped back down the long hallway, and made my way to the new room. Another bellman met me there, handed me a key, and left. Tired, cranky, and stressed, I pulled out the desk chair and sat down -- and it gave way beneath me and broke apart. I started to cry, and then my tears became laughter. What else could possibly go wrong at the Opryland Hotel? The answer turned out to be: Nothing. Opened in 1977, Tennessee's Gaylord Opryland Resort & Convention Center is the largest non-gaming in-hotel facility in the world. It contains 2,711 guest rooms and 171 suites on six floors, all of which have been renovated since it was acquired by the Marriott chain. Yes, the Opryland Hotel is huge -- so if you're looking for something quiet, romantic, and intimate, this isn't for you. But as you might expect of a mega property, the Opryland Hotel features a considerable number of amenities likely to appeal to couples. These include swimming pools, a variety of shops, 17 restaurants and lounges, room service, and even multiple ballrooms and event spaces to hold a wedding. There are glass atriums for couples who want to recite vows in a light-filled, outdoor-like environment without having to worry about bad and humid weather. Unique to The Opryland Hotel is the Delta, a landscaped indoor river and acres of indoor gardens; many of the guest rooms feature a French balcony overlooking it. The 18-hole, par-72 Gaylord Springs Golf Links will appeal to golfers while treatments at the hotel's Relâche Spa will help lovers of massages and facials to unwind. 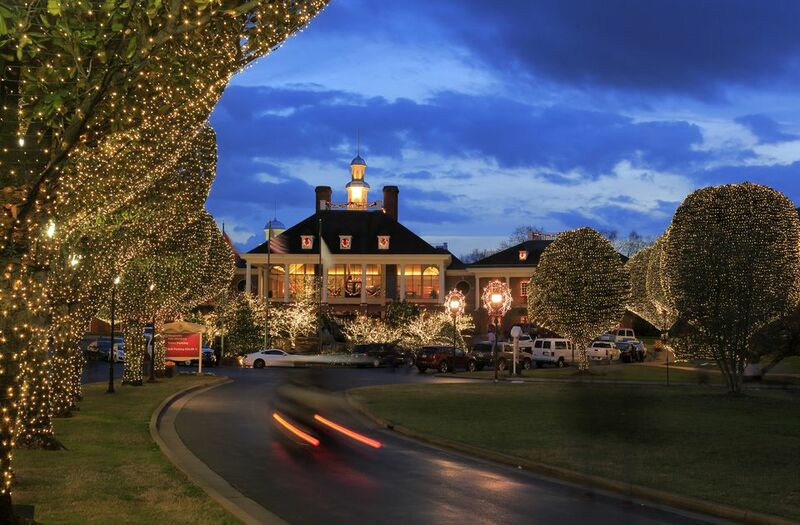 A complimentary shuttle runs from the Nashville airport to the hotel and back. If you're planning a visit to the Grand Ole Opry, this location is quite convenient. Just hold onto your luggage!